Shortlisted as Agent of the Year at this year's British Book Awards, Camilla Shestopal represents estates and backlist titles for Peters Fraser & Dunlop (PFD). We discuss the importance of backlist titles, how digital has affected this rights market, and what the future holds for agenting. Estates and backlist titles are often overlooked areas in rights. Representing them is certainly different from normal agenting. "The very obvious difference that everyone always talks about is the promotion side, because the author isn't available to promote," says Shestopal. "It means that the book is published in a different way. Perhaps you don't have the publicity that a frontlist title would incur, but you do get a lot of marketing. It's all about what's happening around the title and the genre, and building a brand if there is one. It is realy about approaching the consumer saying, 'Look what you can read. Look what you might be missing.'" Sometimes there will be an event marketeers can leap on, such as an anniversary. Often in these instances the families of estates like to get involved, and it can become "quite a big thing". For example, Georges Simenon, one of PFD's biggest estates, is often represented by his son, John Simenon, at events round the world, anniversary or not. HRF Keating's widow, Sheila, campaigns for her late husband's work. "You need to be tireless campaigning for estates," Shestopal comments. Yet the payoff can be substantial. George Bellairs, another PFD author, wrote about 56 detective novels, which are beginning to bring in profits for the publishers who have reinvested in them. The British Library has taken three titles, and each one has performed well; Bellairs' Death of a Busybody reprinted from an initial run of 5,000 copies after just one month. "His books are all wonderful, funny, and different - and no one knew about him," Shestopal says. "It's very gratifying. It also means that his other books have begun to sell to other publishers. It can take a bit of time sometimes, to build these authors. It's not always a quick thing, but when the sales happen, it's really job-satisfying!" There's a thrill for Shestopal in seeing backlist books like these brought back to life, finding new readers. "The other aspects of estates is that often the family find an unpublished novel or book in the attic," says Shestopal. "That's wonderful, because it's a new book that can be published by that author, which has never been published before, and gives more awareness to all the other works as well." Shestopal maintains her enthusiasm in spite of the criticism that has been levelled at the publication of certain "found" manuscripts over the past couple of years. She emphasises that the estate and the author's family in particular should be happy with the publication. "I think if the family are happy for these kinds of publications to go ahead, it's a good thing. It's a way of keeping the author out there, and for new material to come along. It also depends on the work itself. For example, Sheila [Keating] found a new book, A Kind of Light, by HRF Keating. It wasn't a crime novel, which is what he was known for, but it's a very good, literary book, and that's great. Endeavour Ink are publishing that, which is very exciting." In 2011, another PFD estate, that of Mervyn Peake, celebrated the author's centenary. Serendipitously, around that time Peake's granddaughter found an unpublished manuscript in the attic, based on notes by Peake himself and then written up by his wife, Meave Gilmore. Titus Awakes formed the fourth book in the Gormenghast series for which Peake was famous, and was published by Vintage in 2011 as part of the centenary celebrations. In certain cases, then, these found manuscripts can act as help in the promotion of wider events. There have been changes to the agenting of estates over the past few years, not least because publishers' attitudes have become more friendly towards backlist titles. "There are certain areas within publishing houses that are looking at classics, and bringing back older titles," says Shestopal. "Even though - obviously - there is and always will be a focus on the new books, publishers are also looking at classics now. Often they have a designated imprint to deal with them. I think they're seeing success with what has happened elsewhere and cottoning on to it." Shestopal cites Vintage at Penguin Random House and HarperCollins' estate department, which has revived the Collins Detective Club. With previous positions at Random House, Chorion PLC and Classic Media, Shestapol arrived at PFD in 2009, two years after Amazon had launched the Kindle in the US. "The digital side has changed the face of publishing for estates and escalated classics a great deal," she says. "It was exactly the right time to come here, because it was the moment when the classics and the estates could be exploited more and more. "There's no excuse for books not to be available now, because you don't have to store the books. The investment is less. There are a lot of digital publishers, as well, of course: Endeavour Press, Open Road, Bloomsbury Reader... There are so many of them out there." In the online world, every book is a new book. "The way Amazon promote isn't so much about the book itself, it's about the writer or the genre, so the promotion and awareness are easier online," Shestopal explains. "It is an easier way for the consumer to find the books they want." Digital has helped open up international markets. Shestopal finds fascinating the different takes on classics in various countries. China, for example, has recently become interested in backlist non-fiction classics. "In Europe, they're more like the UK: certain publishers are more interested in classics than others. And non-fiction can be more difficult internationally, because they all have their own non-fiction authors writing in their own national languages." Even literary festivals are coming around to classics. Shestopal is a trustee of the Essex Book Festival. "You would think that that is very much frontlist authors," she says. 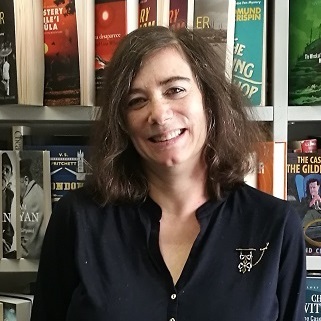 "But the Essex Book Festival is unusual, because it lasts for a month in March, in different places in Essex, and I've been able to work with them on backlist authors too." John Simenon has given a talk about his father's work, and Charles Beck spoke on Dennis Wheatley, another PFD estate. "Both went down so well. People found it fascinating." Shestopal clearly has a passion for her work. "You can lead things a little bit more and be more creative as an agent," she says. "You can really think about how you want to build something. The world is your oyster!" The variation of the work gets her up in the morning too, and the excitement that comes with a new deal. "I love estates and classics," she says. "It gives me a lot of pleasure to see publishers working hard - which they do - on bringing backlists and estates to the fore. I hope that will carry on. If backlist were to disappear, that would be awful. You'd lose history, language - some beautiful language - it would be terrible. I think one can learn an awful lot from both fiction and non-fiction that has been written in the past, and that's very important. The challenge for agenting backlist books is that there is so much choice out there. Trying to get particular estates and backlist noticed is always going to be difficult. "Estates are important because all these books have been fabulous in their time and I think people get very focused on what's new and what's coming out now. They forget sometimes the wonderful material that has been available in the past, and that can still be available. I think the fact that these authors can come to the fore again and be put forward for public consciousness is such a great thing."